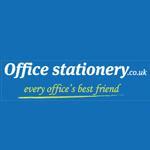 As a supplier, Office Stationery tick the boxes....Good competitive pricing, wide range and competitive delivery options. I received a text saying order was to be delivered by DPD between 11.00 and 12.00 and was fine with that as I'd be at home all morning. By about 12.15 I was wondering where the courier was so checked on DPDs website. I was surprised to see that I had 'signed for' at 11.45....news to me!! Then looking at the front door a slip had been pushed through the letter box showing 'green bin'....the courier had put my parcel in the rubbish bin outside!!! So the courier had forged my signature and claimed I had signed for delivery and then chucked my parcel in a rubbish bin outside. So I'd be extremely careful about ordering from Office Stationery if they are using a courier that would do that.